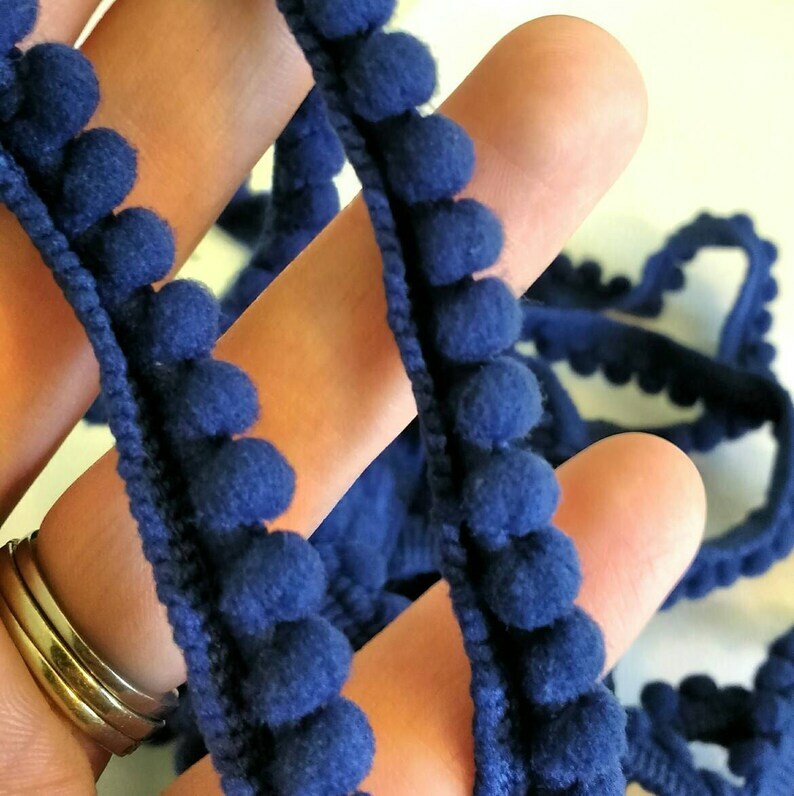 This beautiful navy blue pom pom trim has a nice deep color. It is perfect for trimming pillows, curtains, blankets, and garments. There are so many fun ways to incorporate it into your next sewing project. Browse about to see this trim available in several other colors! Please feel free to contact me with any questions. Thank you for visiting, and have a wonderful day! Red Mini Pom Pom Trim, Small Pom Pom Trim 3/8"
Pale Green Aqua Mini Pom Pom Trim, Small Pom Pom Trim 3/8"
White Mini Pom Pom Trim, Small Pom Pom Trim 3/8"
Ivory Mini Pom Pom Trim, Small Pom Pom Trim 3/8"
Dark Teal Blue Velvet Ribbon for Bows, Floral, and Millinery 1"